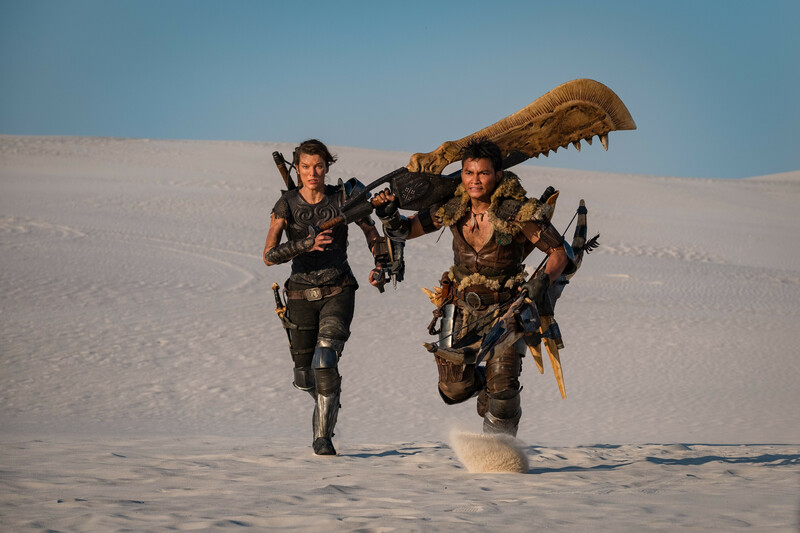 Sony has released the first official image from their upcoming Monster Hunter Capcom video game adaptation featuring Milla Jovovich and Tony Jaa. Milla Jovovich plays Artemis, with Tony Jaa as The Hunter. Milla Jovovich also posted set pics on Instagram. See below. Monster Hunter will be released in 2020 directed by Paul W.S. Anderson also starring Meagan Good, T.I., Diego Boneta, and Ron Perlman.